Contractors' Questions: Do email signatures affect IR35? 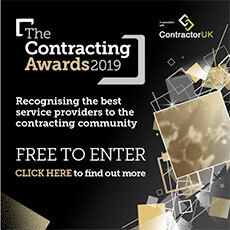 Contractor’s Question: Most of the clients I've had have provided me with an email account under their domain name for communicating with their team and their customers, as well as other suppliers and contractors such as myself. The client typically insists on an email signature which incorporates their company and regulatory details, as this is a requirement by law. But as I’m governed by the same company law requirement, as I run a limited company, would it follow that my own details/address should appear higher up or before the client’s on the email signature? The client has not addressed email signatures, or indicated any preference, but I want to make clear I’m a supplier/contractor, not least in the event the taxman calls. In terms of IR35 and for general business purposes, what’s the best advice? Expert’s Answer: In an ideal world, you would use your own email address and signature for all business-related correspondence. However, this simply isn't acceptable to many end-clients and they often insist on you, the contractor, using their own address and signature. This certainly doesn't help your IR35 position, but it isn't the sort of thing that would be pivotal in the event of enquiry. I'm sure HM Revenue & Customs would try to use it in their arguments, but there are far more important issues that would outweigh this one. From an outside IR35 perspective, you simply need to ensure from your email signature that it's clear you are an independent supplier to your client and in that respect company numbers, even the company’s registered address, wouldn't be necessary. Lastly, it would be best if you consulted a legal expert if the guidelines on company law requirements for stationery are unclear to you. However, I would have thought that if you include the relevant information on general emails sent from your existing company (to, say, other suppliers or recruitment agents) it should satisfy the Companies Act. If you do have to use their signature on your email, I would avoid any reference to a job title. For instance, if they put 'Java Developer' you should change it to 'External Java Development Consultant,' or something along those lines.